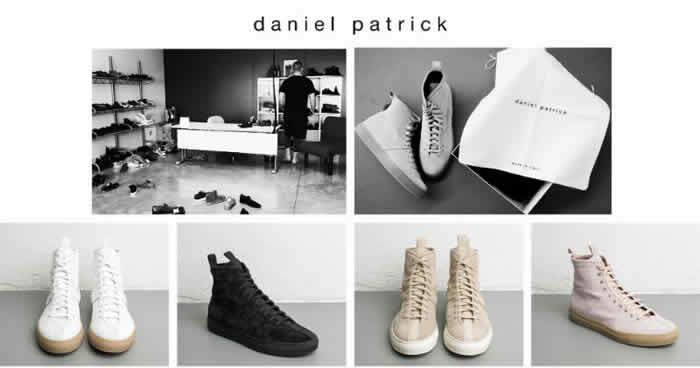 Los Angeles based high-end streetwear designer..
Los Angeles based high-end streetwear designer, Daniel Patrick, is releasing the first of his footwear collection today. Handmade in Italy and made up of calf suede and leather, he is launching the Roamer high tops in White, Black, Sand and Desert Rose, which is a classic high top that matches his bare bone design aesthetic. His vision was for the footwear line was to be minimal, detail oriented and construction focused; in which he has achieved.